Tim Holtz Cling Rubber Stamps REMNANTS cms130 at Simon Says STAMP! Success, Tim Holtz Cling Rubber Stamps REMNANTS cms130 has been shared! 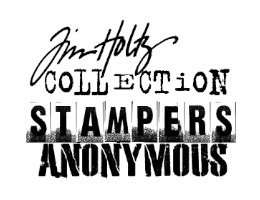 Per Tim Holtz " i'm so happy to share the rest of my new stampers anonymous stamps that are shipping right after cha in january. this release has definitely been inspired by my travels over the past few years. our life is filled with adventures both the ones we've taken, and the ones we've yet to explore. these images certainly reflect the one thing i've said all along - enjoy the journey...i absolutely love this new steampunk set "remnants" complete with a hot air balloon, steam engine, and the bold fonts of an old subway sign. the ideas are already starting to take over..."